Glencairn Museum News 27.2 (2005): 45. A "feast of charity" at the Immanuel Church in Chicago, 1893. Academy of the New Church Archives. Click on image for a larger version. 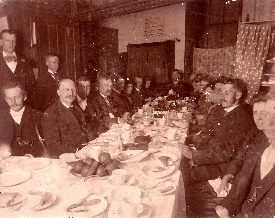 Click here for an identification of the individuals at the table (date of handwriting unknown). The exact form of a "feast of charity" in the early Academy varied according to the occasion, but the goal was always the same: to encourage a spiritual sphere of love to the Lord and the neighbor. Well into the 20th century, feasts of charity were an established custom, "either in private among a few, or as public gatherings in the form of banquets, with instructive speeches, or as weekly suppers, followed by a class for instruction in the things of the church, which may be regarded as a spiritual supper, providing nourishment for mind and soul, the reception of which is prepared for by the supper preceding, and the sphere there prevailing" (NCL 1916, 477). Reports from early Academy publications such as College Letters and New Church Life provide a fascinating glimpse into this evolving tradition. Philadelphia, Pennsylvania, 1891: "The anniversary of Swedenborg's birthday was made an occasion for a feast of charity in the Philadelphia Schools of the Academy . . . The tables were set in a hollow square, or rectangle, in the Hall, which had been suitably decorated. All the pupils, including the smallest, were invited. There were several courses of viands, and, for the first time, wine was also served, the small children having their water colored with it" (NCL 1891, 63). London, England, 1892: "The hall was very tastefully decorated. From the ceiling were suspended red banners on which in white letters were Latin and English inscriptions. Particularly noticeable was a portrait of Bishop Benade. It seemed to bring us more closely in communion with the members of the General Church in America, among whom he has so long worked, and to some brought back the memory of many similar feasts of charity at which he had been present" (NCL 1892, 171). Pittsburgh, Pennsylvania, 1893: "The Pittsburgh Church has not had a celebration for some time, and was not equipped for the celebration of Swedenborg's birthday. But where there is a will there is a way; and movable tables, dishes, glassware, stove, and all the necessary paraphernalia shortly appeared upon the scene. The abundance of the good things to eat and to drink, all provided under the able direction of one of the ladies, was but an earnest of the mutual enjoyment of goods and truths which was the principal characteristic of this feast of charity, the first of our new state. The tables well-nigh filled the room, and were arranged in the shape of a T with a broad base in the East. After due attention to the wants of the natural man, the wine was passed and the Church pledged first in order to the song, 'Vivat Nova Ecclesia.' Then followed the subject of the evening, 'Swedenborg the Servant of the LORD'" (NCL 1893, 43). 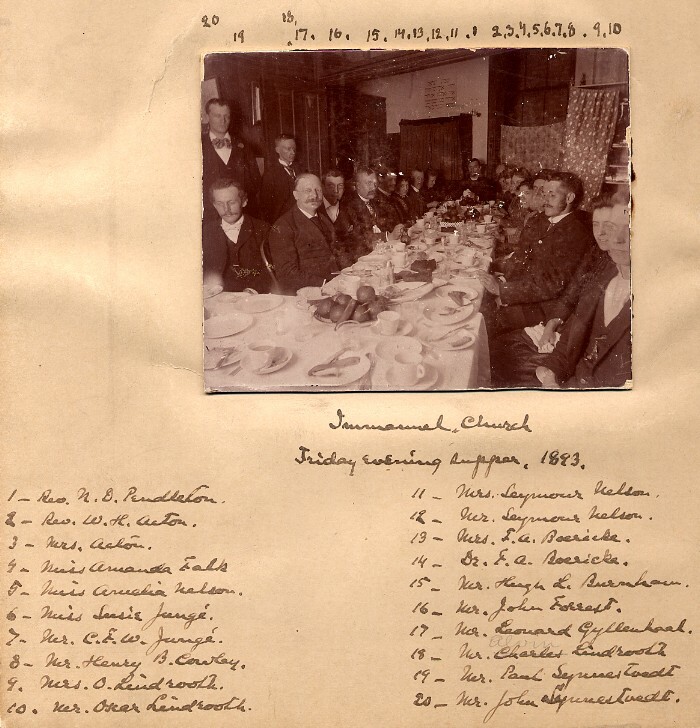 Berlin, Canada, 1893: "On Friday, November 4th, the members of the Church attending the worship of the Church at the Academy gathered to enjoy a feast of charity, so that in the sphere of mutual love they might give expression to their happiness because of the new home of the Church. At seven o'clock all took their places at the supper table. The prayer was repeated by all in unison. (See C. L. 16.) When due time had been spent in enjoying the food amidst lively conversation, the toast-master, Mr. Rudolph Roschman, rose, and with appropriate remarks, proposed the first toast, 'The Church.' . . . The last toast was 'The New Home of the Academy School in Berlin,' which, after the singing of 'Alma Mater,' was responded to by Mr. Jacob Stroh. The tables were then removed, and the remainder of the evening spent in conversation, games, and dancing. A most enjoyable evening was spent by all, and many expressed the hope that the future feasts of charity to be held in this place may be equally happy and delightful" (NCL 1893, 10). Middleport, Ohio, 1896: "To celebrate the anniversary of Swedenborg's birthday the members of the Society and their families were invited to a feast of charity . . . 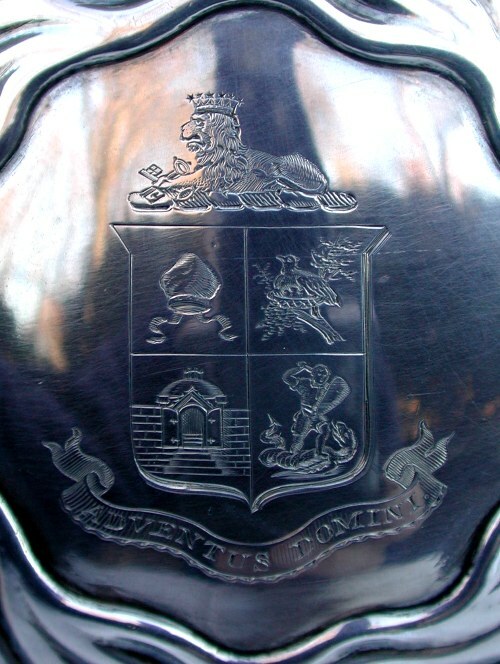 The use of the loving-cup was inaugurated at this feast, and afforded a new ultimate of the general desire of conjunction, harmony, and cooperation, inspired by the sphere of charity in recreation reigning on that significant day" (NCL 1896, 47). 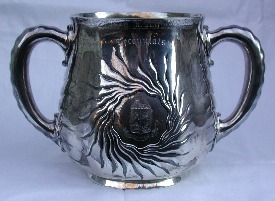 The use of a loving cup was common in many early Academy feasts of charity. The True Christian Religion states that the feasts and banquets of the Children of Israel are mentioned so often in the Word because they signify this sphere of charity: "Conjunction itself was then represented by the breaking and distribution of bread, and by drinking from the same cup and handing it to another" (TCR 433, emphasis added). 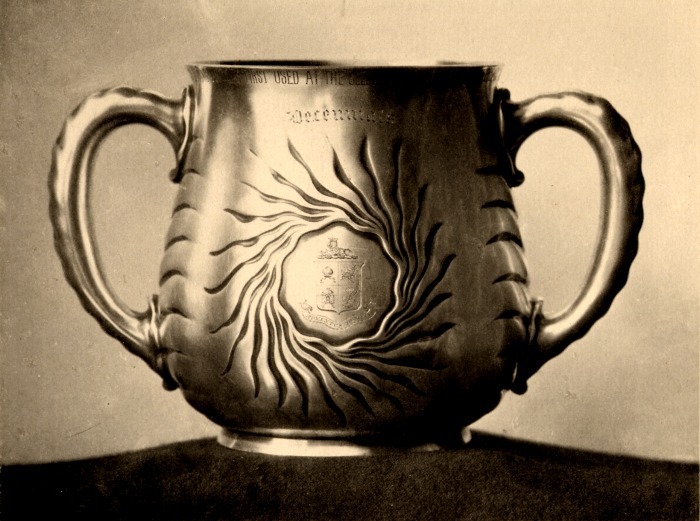 At least one cup was crafted by a silversmith especially for this purpose: the "Decennial cup," now located in the John and Gertrude Pitcairn Archives. "At the Decennial we had experienced a serious want in not having a cup large enough to pass from hand to hand of the entire number of Academicians (see end of T.C.R. 433). 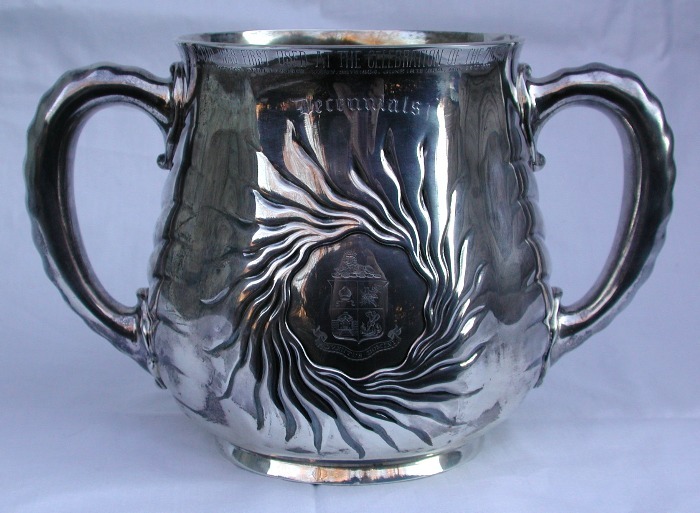 Accordingly, a Loving-Cup was procured by Messrs. Pitcairn and Childs, which was presented to the Academy and formally dedicated on the occasion of celebrating the Chancellor's seventieth birthday" (College Letters, March 12, 1887, 6). The dates stamped below the main inscription read as follows: "June 19th 1887. June 19th 1888. June 19th 1889. Jan'y 29th 1890. June 19th 1890 June 19th 1891. Dec. 11th 1892. Dec. 24th 1901. April 6th 1902. Feb'y. 14th 1903. April 13th 1903. Jan'y. 29th 1904. June 19th 1904. May 28th 1905. Centennial June 8th 1976." Six of these dates fall on June 19th, "New Church Day." Two dates fall on January 29th, Swedenborg's birthday. December 11th, 1892 was a "convivium" at the Pitcairns' house in Philadelphia during which, 1) Rev. Eugene Schreck was installed as a member of the Academy Council, and 2) Chancellor Benade "declared the Academy to be a Celestial Church" (see College Letters, January, 1893). December 24th, 1901 was the date of the funeral service of Robert M. Glenn. April 6th, 1902 was the date of a banquet to dedicate the new school building in Bryn Athyn (Benade Hall). February 14th, 1903 was the date of the funeral service of Carl Hjalmar Asplundh. April 13th, 1903 was the date of the funeral service of Rt. Rev. Edward C. Bostock. May 28th, 1905 was the date of a memorial service in Bryn Athyn for Rt. Rev. William H. Benade. And June 8th, 1976 was the date of the General Assembly banquet in Bryn Athyn, held on the year of the Academy's centennial. Click on images above for larger versions. Left: the Academy seal, with the inscription "Adventus Domini," meaning "The Advent of the Lord." Right: The words to a popular song and toast, "Our Own Academy." Click on images for larger versions. John Pitcairn formally presented the cup to the Academy with these words: "I have here a Loving Cup, which is presented to the Academy to be used at our June 19th and Decennial Celebrations, and also at other important feasts of charity, such as is the present occasion" (College Letters, Sept. 1, 1888, 1). The plan for inscribing the cup was a particularly ambitious one: "The spaces formed by the rays around the sun, in which are the arms of the Academy, are to be used for inscribing the dates and places of Decennial Celebrations, and the last of these spaces will be filled by the inscription of the twenty-fifth Decennial, or two hundred and fifty years from the establishment of the Academy" (ibid.). As it happened, the plan for the Decennial inscriptions within the sunburst was quickly abandoned in favor of a series of inscriptions around the rim, recording 19th of June celebrations, Swedenborg's birthday banquets, funerals of Academy leaders, and several other notable events, including the dedication of Benade Hall in 1902. By the 1960s, the term "feast of charity" was not used much, but some aspects of the tradition have continued: "Although it is seldom called by that name, the General Church has attempted to revive the feast of charity. It finds its most complete form, perhaps, in the banquet, at which, in addition to a common meal with its opportunities for sociability, there is a program of toasts, songs and speeches designed to direct the affections and thoughts of all present to the things of the church" (NCL 1967, 413). 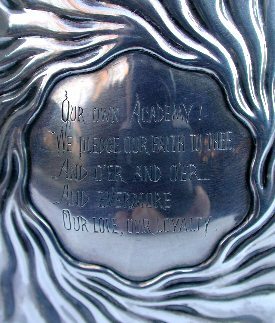 During the year of the Academy's Centennial, it was in commemoration of just such a banquetthe General Assembly banquet on June 8th, 1976that the Decennial cup was inscribed last. On that occasion, when 1,240 banquet guests drank a toast, the two bishops and their wives drank from the loving cup (NCL 1976, 339). 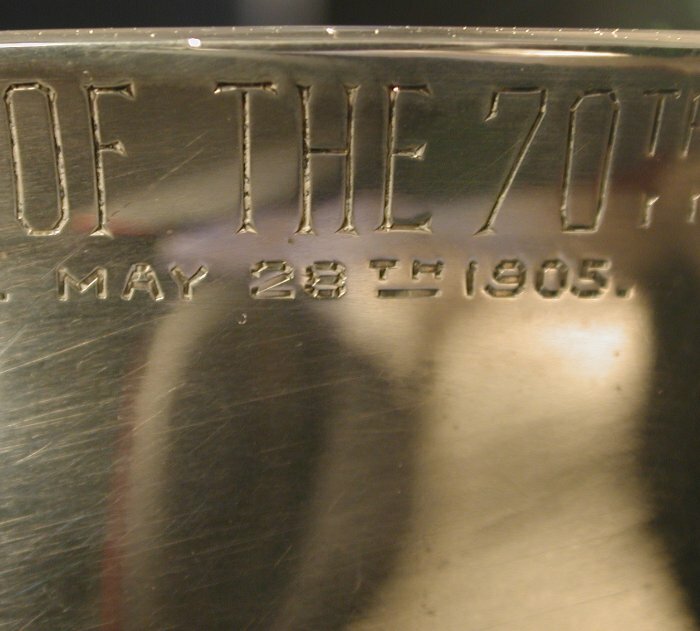 It remains to be seen whether the cup will be inscribed, as originally intended, for the Academy's twenty-fifth Decennial, in the year 2126.